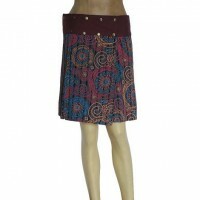 We have a huge collection of different varieties of skirts, whether the skirts are made of silk, heavy cotton or thin summer cotton, all our handmade skirts are unique and beautiful. 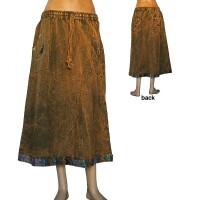 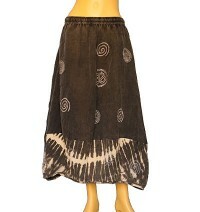 Buy Nepal cotton skirt and silk skirts below. 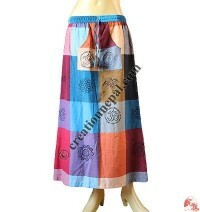 Whether it is silk patch-work sari open skirt or cotton wrapper short skirt, we can avail all taste of skirts like acrylic-cotton frills skirt, cotton patch and print long skirt, Gheri cotton heavy skirt, crochet cotton skirt, tie dye skirt, plain color joined skirt, multiple color tie dye painted skirt, patchwork khaddar wrapper skirt, cotton printed skirt, tie dye patch frills skirt, buttons adjusted printed skirt, sari silk triangular frills skirt, umbrella design cotton long skirt, woolen crochet stripes skirt etc. 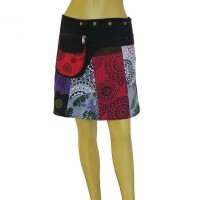 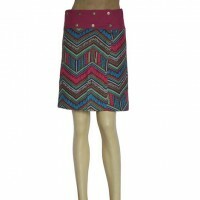 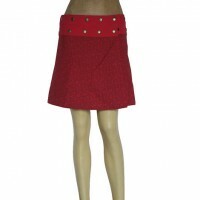 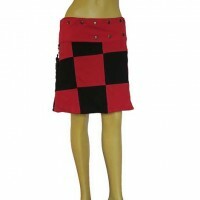 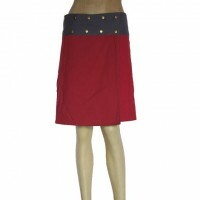 Buy skirt for women online at cheap price in Nepal. 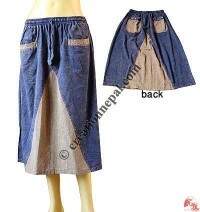 Nepalese handmade ladies fashion skirts are mostly made from cotton and many of them are hand embroidered to make then look beautiful and identical. 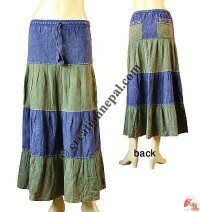 Nepalese women clothing skirts varied as Skirts, Nepal fashion skirts, fashion Nepal, wholesale skirts, ladies fashion skirt, women skirt, long skirt etc. 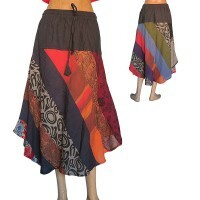 those can be used as formal skirt or casual skirt.